There is a form of creativity so powerful that it only takes one look and one listen for millions of consumers to remember it, like it, buy it, and tell others about it. These are so-called Super Signs – the brands that are embedded in human culture and hidden deep in our subconscious. This book takes a fresh approach to branding, and explores how to turn brands into Super Signs in today’s competitive and ever-changing world. Super Signs are the most effective and powerful means of influencing a consumer’s actions. From a branding point of view, Super Signs are the ultimate level that your brand can reach — a level where the brand triggers an instinctive reaction in thought and action from the consumer. 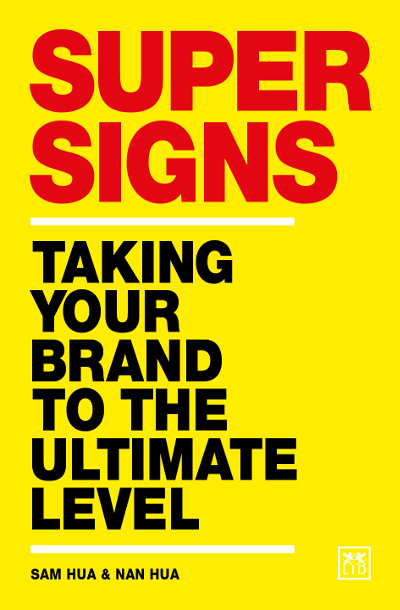 How to leverage the power of SuperSigns –and create exceptional brands. ● A highly original book about branding, which captures the human element in marketing. ● Brands remain one of the most powerful vehicles for companies to succeed with consumers. ● Written by two leading branding and strategy consultants, whose work has transformed businesses. SamHua and Nan Hua are the founders of HUA&HUA, one of China’s leading branding and strategy consultancies. This is an authoritative and practical guide to analysing business data, to enable managers and companies to develop successful business strategies. Data has become a dominant factor in today's business environment. This book, written by a leading practitioner, provides a series of tools and methods for analysing data and contributing to the success of the company. The main aim of data analysis is turning data into actionable intelligence that will drive and determine a company's competitive advantage. However, this does not happen by magic, rather it is through the rigorous application of appropriate tools. This book sets out 19 key tools for data analysis that have been tried and tested. Applying such tools will result in solid analyses of the business environment, that will contribute to better designed strategies and the company's strength in the marketplace.